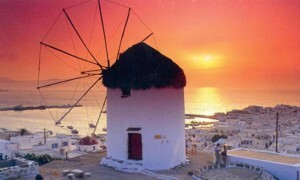 Since the fifties, Mykonos has always been one of the most popular tourist islands of the Mediterranean. Chora, as the town of Mykonos is commonly known, impresses and casts its spell on the visitor from the first moment, with its beautiful position, scale and architecture. 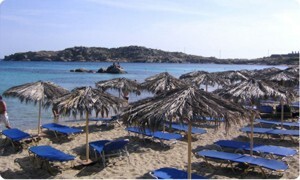 Despite the great tourist development of the island, it manages to maintain its cycladic features and traditional look, like few other towns. Its cube-shaped, all white houses glow in the sunlight, scattered wisely and orderly in the countless labyrinthine alleys and streets with whitewashed cobbled pavements. A little further, on a low hill, the windmills, having stood for centuries, compose a picture of unparalleled beauty in combination with red domes and bell towers of the countless churches. In the harbour, a small colorful flotilla of caiques and fishing boats completes this unique picture with its vivid colors. Bathed in perennial sunlight sent by the god Apollo, they are all spread between the hill of Mt. Kynthos and the port with its crystal clear waters, giving the visitor the impression that they stopped functioning only yesterday. 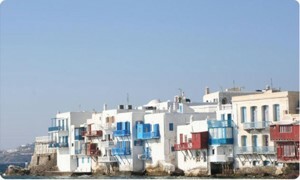 The fame of the island and the large number of visitors, among whom one can recognize some of the most famous personalities all over the world, have resulted in the commercial activity that has made the market of Mykonos so famous. So, in the streets of Mykonos, most important of which is Matoyianni, one can buy clothes, jewellery and works of art designed by the most celebrated designers and artists. One wouldn’t exaggerate if one said that, quite often, this is where the trends in fashion and style to prevail worldwide are decided. 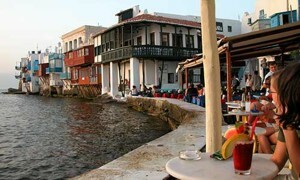 One can enjoy one coffee, or ouzo with titbit and the traditional tastes at the cafes. Bars and restaurants scattered all around, and observe at the same time, a colorful crowd wandering in the narrow streets of the town. Chora is also the starting point if you want to discover the rest of the beauties of the island, its picturesque interior and spotless beaches, using a regular bus service or other means of transport. Pick up from your hotel to begin the sightseeing tour of Thessaloniki. You will have the opportunity to see the White Tower, the main landmark of the city, the Helexpo fairgrounds, the university campus, the Galerius Arch, the Rotunda monument, the Citadel and the City Walls, from where you will have a marvelous view of Thessaloniki! During your tour, there will be a short stop at Aghios Demetrius Byzantine church and its crypt, and you will also have the opportunity to visit the Archaeological Museum. 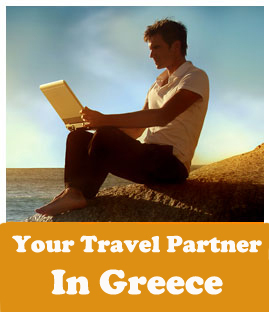 Pick up 06:00 a.m. from your Athens hotel and direct transfer to the port of Piraeus in an air-conditioned environment. Embarkation on a boat. 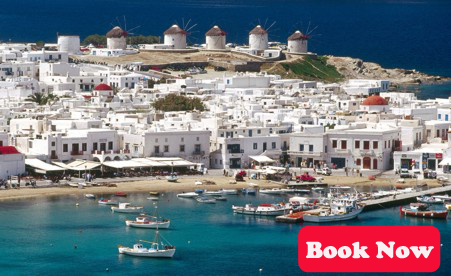 Cruise through the various islands along the way and experience the Cyclades visual. 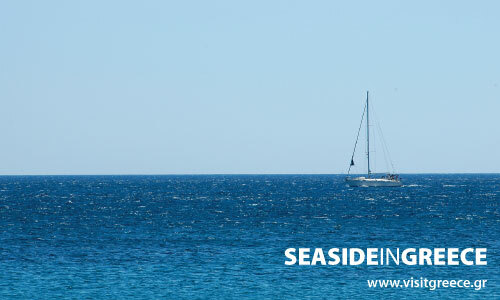 Arrival on Santorini and direct transfer to your hotel.